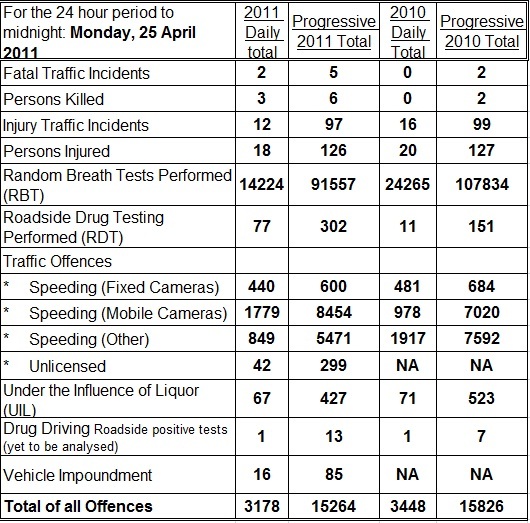 The Easter road toll ran till midnight last night and claimed 16, three in Queensland. New South Wales recorded four deaths since Friday. Victoria, and Western Australia have also have three fatalities, with one each in South Australia and Tasmania. There were no deaths on the roads in ACT and the Northern Territory. 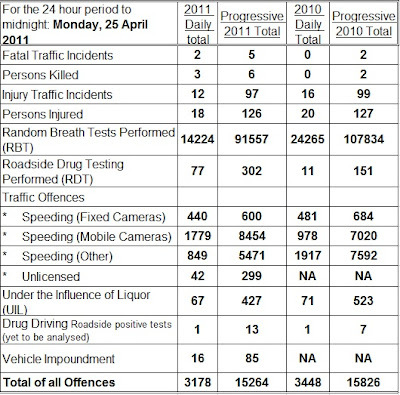 Here's the Queensland stats.